Bob joined the Lewis Tree team in July 2016 as Vice President, Finance and was promoted to Senior Vice President in April 2018. He received his Bachelor’s Degree in Accounting from St. John Fisher College and his MBA from Rochester Institute of Technology. 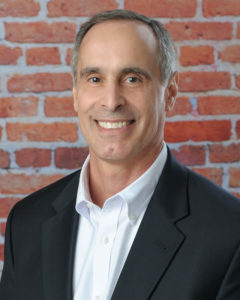 Prior to joining Lewis Tree Bob was the Director of Financial Planning and Analysis for the Print segment of Veritiv Corporation, a North American leader in business to business distribution solutions and a Fortune 500 company. Bob has over 30 years of experience in finance, development of company processes, corner office relationships with customers and ERP projects. Bob is a member of Financial Executive International, has been a board member for several years and currently serves as the Rochester Chapter’s Treasurer. Bob is a native Rochesterian, he enjoys spending time with his wife and three grown children. He and his wife volunteer with local organizations.